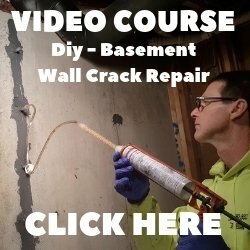 WHY DO CONCRETE SEALER BLISTERS AND BUBBLES FORM? 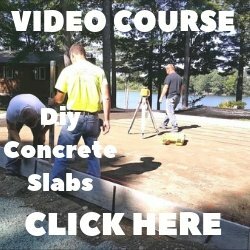 Most sealers with less than 100% solids either drys or cures when the liquid portion of the sealer (water, xylene, acetone) evaporates after it helps transport the solids portion onto the surface of the concrete. Once the liquid portion evaporates the solid portion gets hard forming a film that helps protect the concrete. During this curing process air and some other gases need to escape. If the sealer dries too fast or to slow due to extreme hot or cold temperatures there is the potential for some of the gases to get trapped causing (blisters). Very windy and dry conditions could also dry out the surface of the sealer causing it to crust over and potentially trap some air causing (bubbles). Ideal temperatures for sealing concrete fall between 50 - 80 degrees, read the manufactures specifications for best results. HOW CAN I FIX THESE SEALER BLISTERS AND BUBBLES? 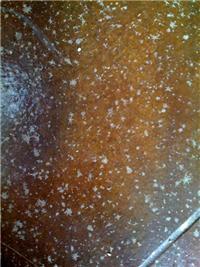 To resolve this problem for solvent based sealers you can try spraying or rolling on some xylene or acetone. If the sealer was applied too thick you might need to back roll it after spraying. This will re-wet the sealer and help it lay out again releasing the air and gas bubbles. This same solution will sometimes work with water based sealers just try it on a small area first. Sometimes reapplying the same sealer will fix the concrete blisters and bubbles, again try this on a small area first. No need to waste all that sealer or create more problems if it doesn't work. As a last resort the sealer can be removed using chemical strippers, then scrubbing and washing the surface of the concrete. Reapply the sealer with a thin coat only after watching the weather for the ideal temperature conditions.